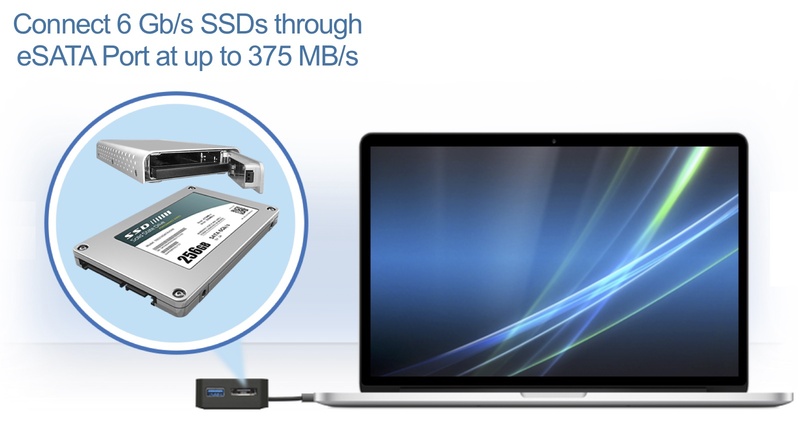 Sonnet、ThunderboltをeSTAT/Gigabit Ethernet + USB 3.0に変換できるアダプターを発売。 | AAPL Ch. 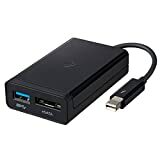 Both the USB 3.0+eSATA Thunderbolt Adapter and USB 3.0+Gigabit Ethernet Thunderbolt Adapter provide one 5.0 Gb/s USB 3.0 port for connecting to storage, hubs, and other USB 3.0 devices. In addition, the eSATA Adapter offers a single eSATA port that supports port multipliers, and the Gigabit Ethernet Adapter includes a Gigabit Ethernet port that supports 1000/100/10Base-T auto-negotiation. Both devices are bus-powered and require no additional power adapter, and each comes equipped with a 10 Gb/s Thunderbolt interface and attached Thunderbolt cable.